Timber Harvesting’s September/October issue spotlights Wisconsin’s Max Ericson Logging as Timber Harvesting’s 2011 Logging Business of the Year, as the business’s sole proprietor, Max Ericson, has exhibited leadership, integrity and tireless advocacy over his 40-year career, thus earning him the respect of his peers, business associates and neighbors. 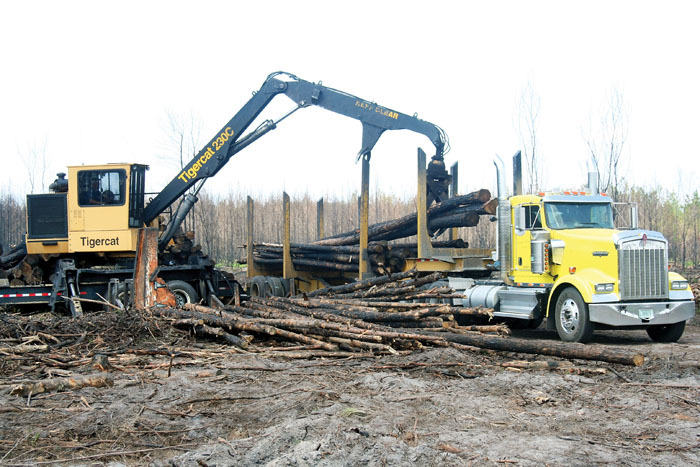 Also featured are Va.’s Calhoun Mulch, where a conversion kit has enabled the company to expand business at a modest cost, and Ga.’s Rampey Logging Inc., where owner Steve Rampey stays on top of his game while working in timber damaged by fire. 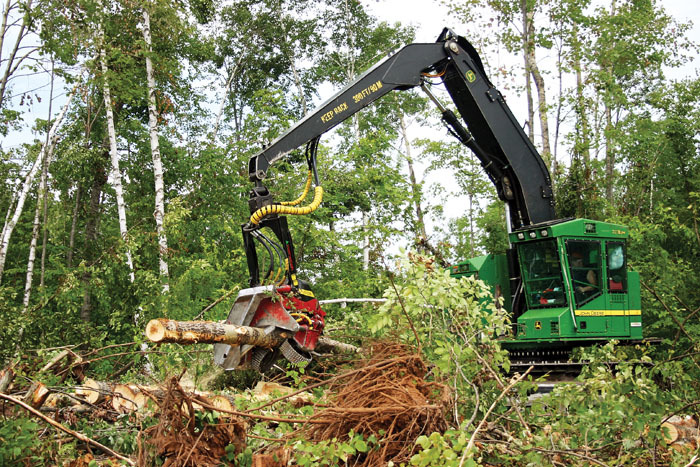 The issue highlights 2011’s most significant forestry event, the Mid-Atlantic Logging & Biomass Expo, as the show dates of October 7-8 draw nearer. In general, 80% of the work of a business or organization is accomplished by 20% of that group’s people. This truism is commonly called the 80/20 rule or the ‘vital few, trivial many rule.’ Among Wisconsin loggers, one of those ‘vital few’ is Max Ericson, sole proprietor of Max Ericson Logging. His leadership, integrity and tireless advocacy over a 40-year career has earned him the respect of his peers, business associates and neighbors. Put briefly, his commitment to the betterment of the forest industry and his community is legendary. 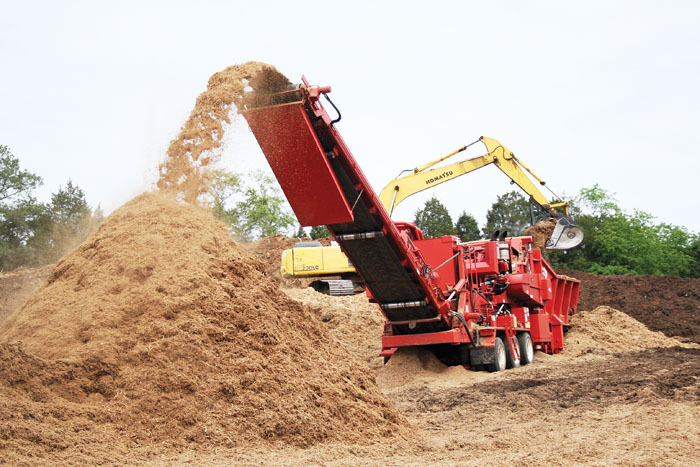 Biomass or mulch producers looking to expand or diversify have traditionally been limited in their options for doing so. If they wanted to bulk up the mulch operation, they’d add a grinder; to upgrade the biomass side they’d purchase a chipper. Both are very expensive options. The long dirt road to the log ramp was even dustier than normal for August in south Georgia. For a clear, sunny day with temperatures hovering around 100°, the winds were robust, kicking up dry-as-bones red dirt mixed with black soot. Blackened bark everywhere told the story: fire. 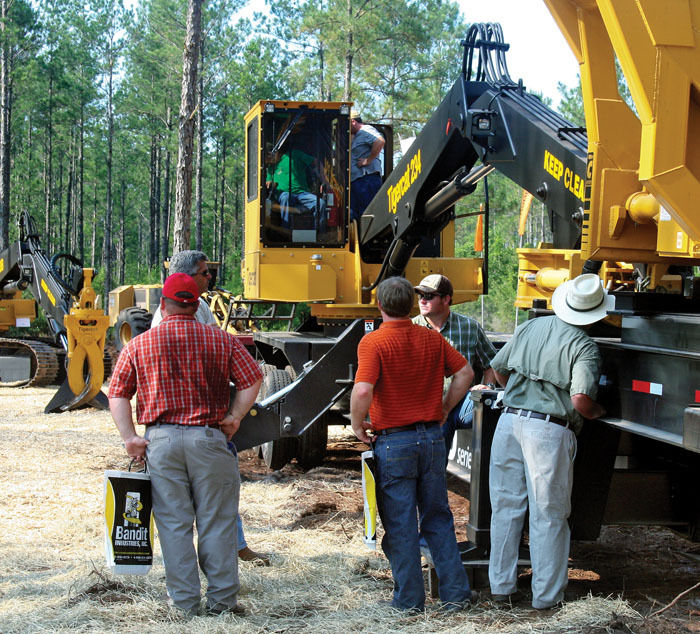 Momentum continues to steadily build for the Mid-Atlantic Logging & Biomass Expo, 2011’s most significant forestry event on the East Coast, as the show dates of October 7-8 draw nearer. The exposition will take place near Selma-Smithfield, NC in the I-95 corridor. Gates open at 8 a.m. both days. 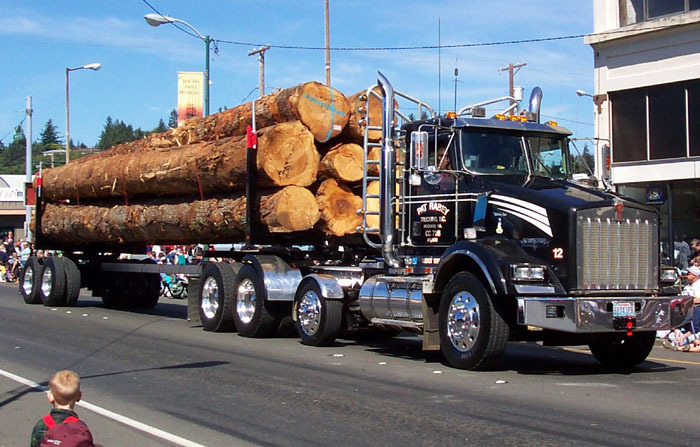 Recent log transportation changes implemented by Weyerhaeuser in Mississippi, Louisiana and eastern North Carolina have left some of the loggers involved very disgruntled. The changes raise ethical and legal questions and have gotten the attention of the American Loggers Council. International Paper and Temple-Inland Inc. have entered into a merger agreement under which International Paper will acquire Temple-Inland for approximately $4.3 billion. The merger, which has been approved by the Boards of both companies, brings together two strong North American corrugated packaging businesses. The deal is expected to close in the first quarter of 2012. Temple-Inland had backed away from the original IP offer. Temple-Inland was expected to hold a meeting of its stockholders to vote on the transaction.